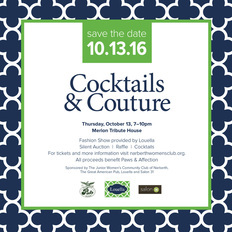 Cocktails and Couture a success! 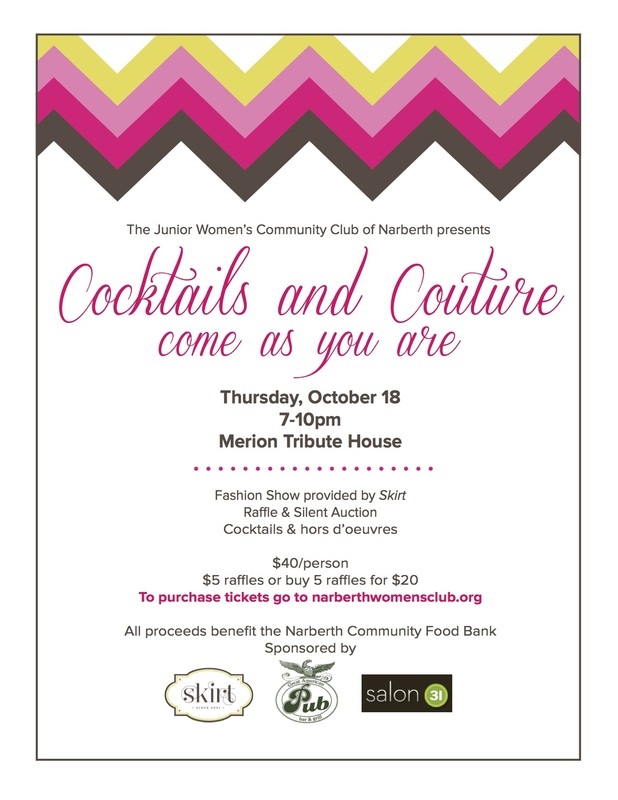 Thank you all for joining us for a fabulous girl's night out Thursday October 18, 2012 at the beautiful Merion Tribute House. 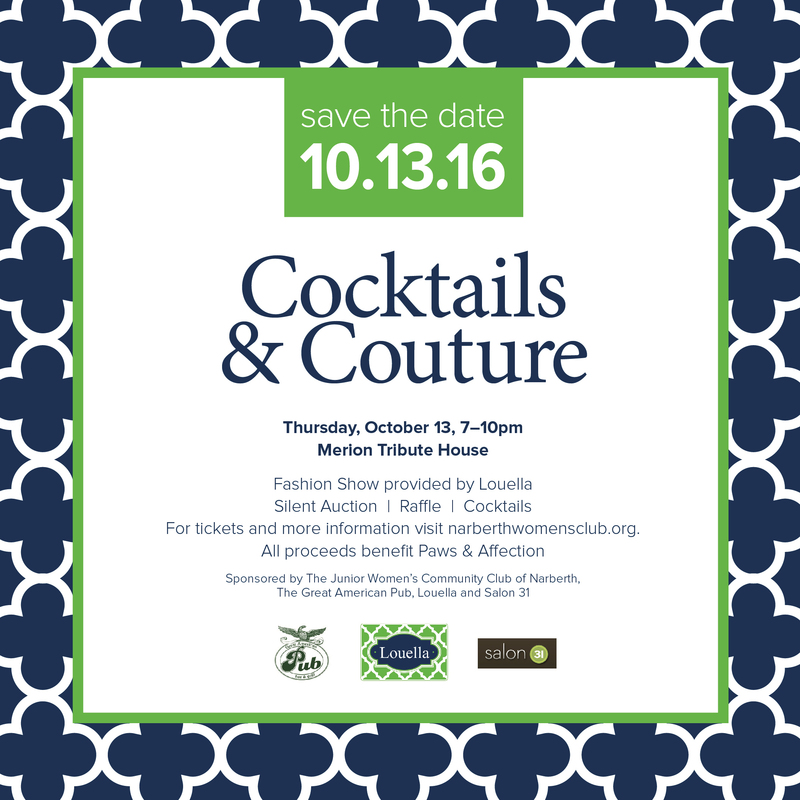 Over 150 ladies enjoyed each other's company, shopping with our select vendors, the beautiful fashions of L7, our terrific raffle baskets, delicious appetizers, cheeses and desserts, and of course, our open bar with signature cocktails, wine & beer. Check out our Facebook page for photos. Best of all, we raised over $3800 for the Narberth Community Food Bank. 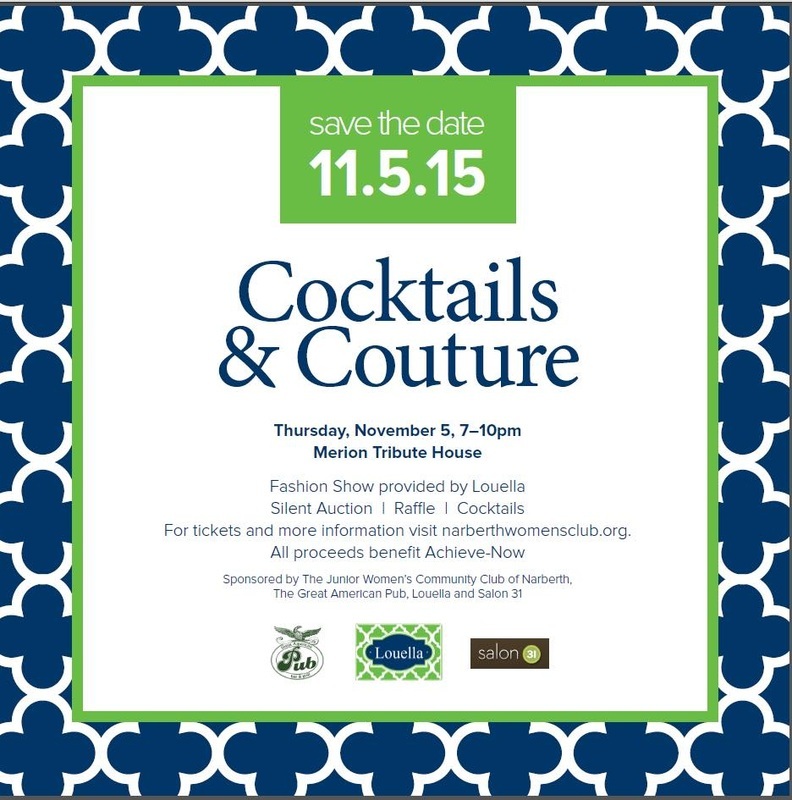 We're looking forward to another great event next year! 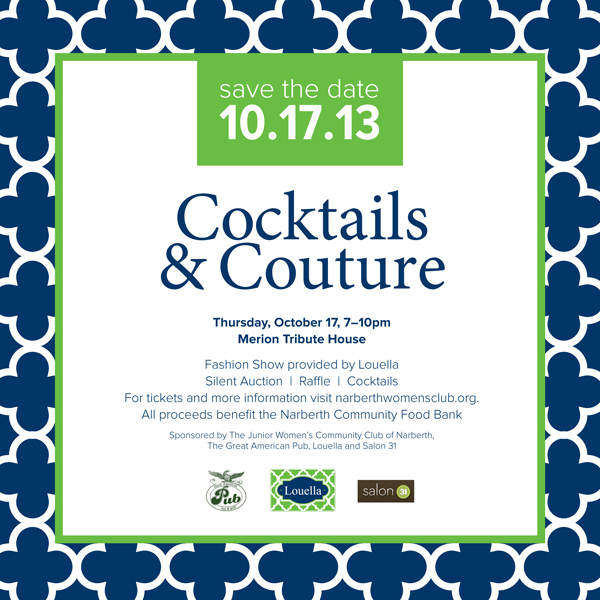 Are you interested in being a vendor for our next event or supplying a raffle item? If you have a business and are interested in marketing your product or service to women, here's an easy, fun way for you to reach your target market. And, you'll be supporting a great local cause too! 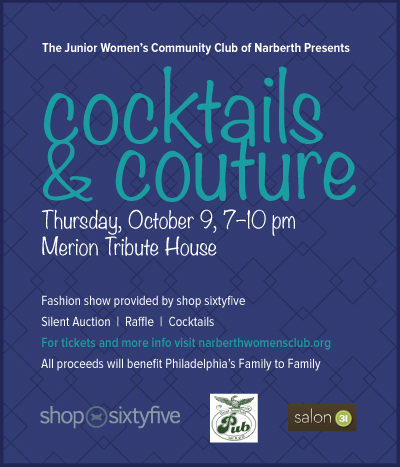 For more information, email us at narberthwomensclub@gmail.com.